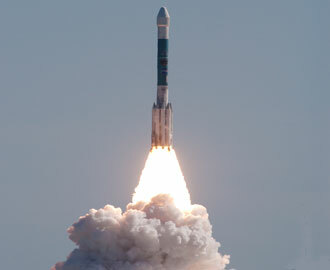 The Deep Impact spacecraft lifted off aboard a Boeing Delta II rocket from pad 17-B at Cape Canaveral Air Force Station, Fla., at 1:47:08.574 p.m. EST on January 12, 2005. 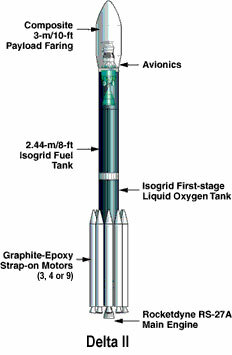 The Delta II launch vehicles are descended from the Delta rockets that have been in use since the 1960s. They have carried aloft a number of NASA spacecraft like Deep Space 1, NEAR, Mars Climate Orbiter, Mars Polar Lander, STARDUST, FUSE, IMAGE and EO-1/SAC-C into space.